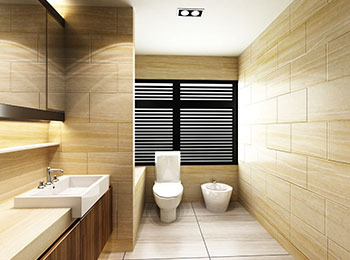 Dedicated to excellent service and top quality bathroom installation and fitting in and around Glasgow. 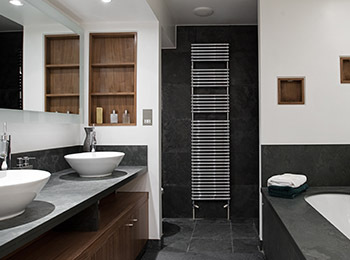 Glasgow Bathroom Solutions are part of JSL Plumbing Services Ltd a group of companies dedicated to giving excellent bathroom service to our customers. Based in Bearsden, Glasgow, we have a great local reputation for our high standards, quality of products and our attitude when handling problems. 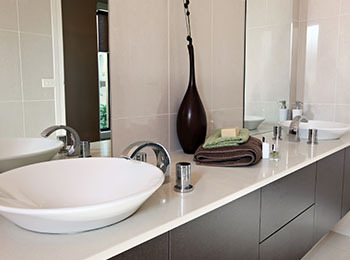 We know you want your dream bathroom with as little fuss and disruption as possible but at a realistic price. We do our very best to deliver this. After all, we want you to use our bathroom fitting services again and again and to recommend us to your friends. That is how our business has grown over the last decade and how it will grow in the future. 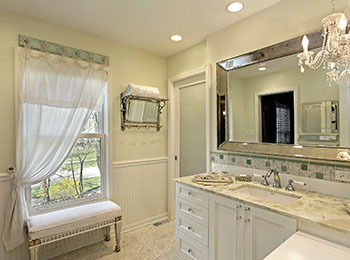 "It is now going on for 6 months since we got Jim Lawrence to completely renew our main bathroom, which involved some complex plumbing changes and extensive tiling on difficult walls. We remain delighted with the results and would not hesitate to recommend his team to anyone. Jim was happy to take on board our own design ideas, and his catch phrase, "no worries", was well justified." "I used this company to install a large new en-suite. When Jim and his team arrived they first of all put down strong plastic covering on all nearby floors to eliminate any damage or mess during the removal of old suite. 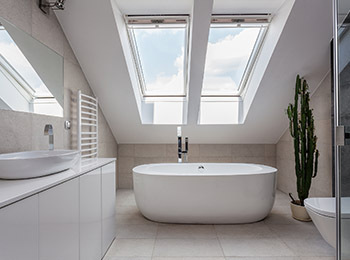 Jim and his team were very courteous and are very focused as what had to be done, he has an excellent tiler and electrician, and the team have a "can do approach"
"JSL installed an en-suite for us and we were delighted with the result. The plumber (Andy) delivered high quality workmanship with great attention to detail. They were tidy workers, causing the least amount of disruption possible. Jim dropped in regularly to check on progress and provided excellent customer service. Even though extra tasks turned up, the fixed price STAYED a fixed price. 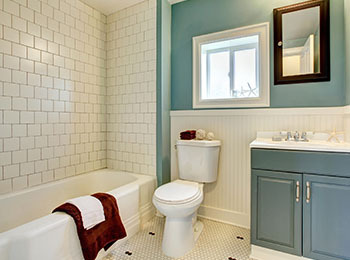 Thanks"
"Jim arrived promptly on the day of the job and replaced faulty flush in our toilet. Jim was a pleasure to deal with and someone I would be happy to recommend. The work was carried out in good time and we were really pleased with the finished work. 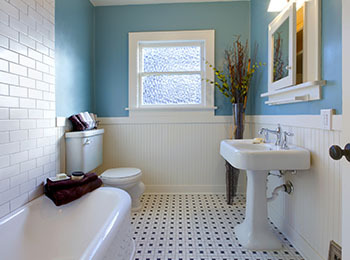 Flush works perfectly and we would be happy to use JSL Plumbing Services again in the future. Thanks again for a great service." "I needed to have a new kitchen sink installed. When I contacted Jim, on the recommendation of a friend, he came almost at once to assess the situation. He did everything for me, so that all I had to do was to afford access for his (excellent)colleague and pay. The work was done when they said it would be and my toilet flush was also fixed free of charge. Jim is an extremely affable person"
"Jim replaced a kitchen and a bathroom tap and fixed a toilet where the cistern was leaking into the bowl. He was personable and professional, and provided advice on which replacement taps we might want to get for the bathroom. He provided updates on his progress throughout, and the pricing was reasonable. We have used JSL before and would happily do so again"